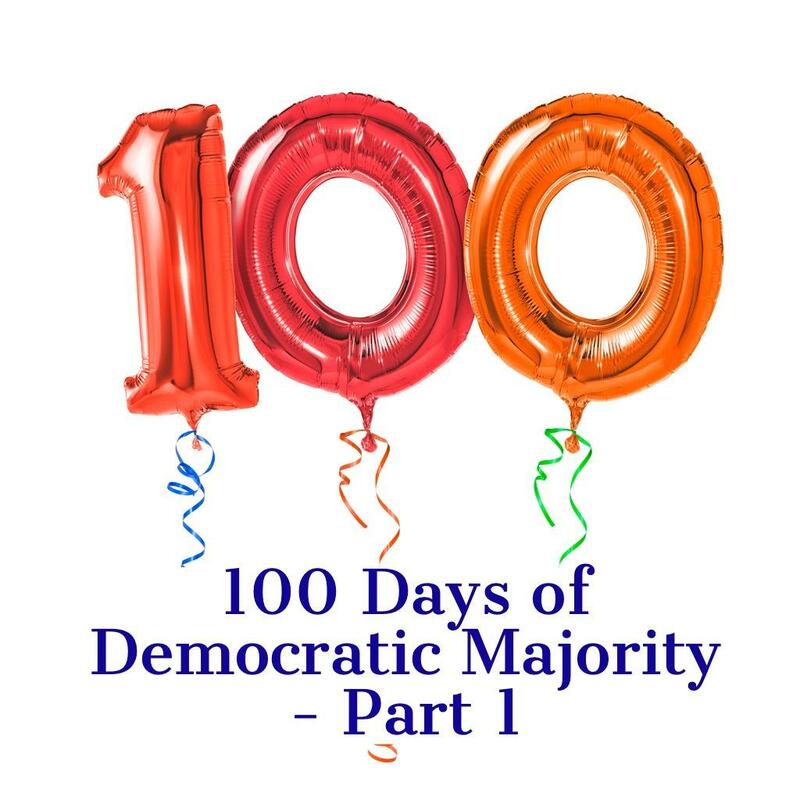 Share how you feel about the Democrats first 100 days in the majority! As we previewed yesterday, Democrats are approaching the 100-day mark of the new Democratic majority in the House of Representatives. They reach this pivotal milestone on April 13. Speaker Nancy Pelosi has heroically presided over 100 days of accomplishment, oversight and accountability, all while fighting chronic GOP obstruction, shining a light on GOP corruption and navigating the steady stream of chaos from the White House and an unhinged president. From healthcare to oversight, Democrats are keeping the promises they made to voters in the midterm elections, and they will continue to fight for America and the American people. In March, House Democrats passed the cornerstone of their legislative agenda: H.R. 1 -- the For the People Act -- critical anti-corruption legislation that would make it easier for people to vote, put an end to corruption in Trump’s Washington, reign in foreign influence on our elections, require secretive dark money groups to disclose their donors, tamp down on lobbyists and special interests and require presidential candidates to disclose their tax returns. In short, it is the single most comprehensive piece of anti-corruption legislation since Watergate. Democrats passed a resolution demanding the full Mueller Report on the Russian attack on American democracy be shared with Congress and the American people. Democrats did this in the face of a suspected coordinated effort by Trump’s politically-appointed Attorney General William Barr to cover up key findings of the Mueller report and protect the president. Democrats issued subpoenas to Trump administration officials who have jeopardized our national security by treating the White House security clearance process like a game. Trump and his staff think the rules do not apply to them - they do. And House Democrats are holding them accountable and bringing their dangerous shenanigans into full view of the American people. Let us know what you think about the Democrats first 100 days -- a period marked by a relentless push to make progress for the American people, provide oversight on a dangerous administration run amok, and hold Trump and his chaotic and corrupt administration accountable. We’ll share more key Democratic accomplishments tomorrow -- stay tuned!